DO NOT EMAIL YOUR POSTER TO US. See the menu on the left edge of this page for preparation and submission instructions. 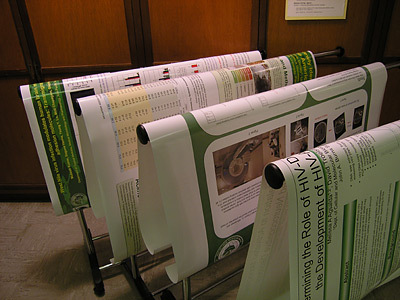 The CNSF Poster Printing Service is available to anyone in the University of Hawaii System. Poster pricing is based on a simple flat-rate schedule. 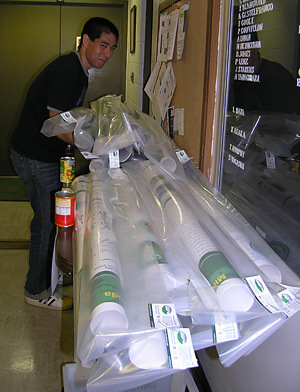 The cost of poster printing includes trimming (if required). Laminated is available for an additional cost. Printed posters will be available for pickup on-campus at UH Manoa. Hewlett-Packard color inkjet printer capable of printing posters up to 42 inches wide. American Banner laminator capable of laminating posters 42 inches wide. 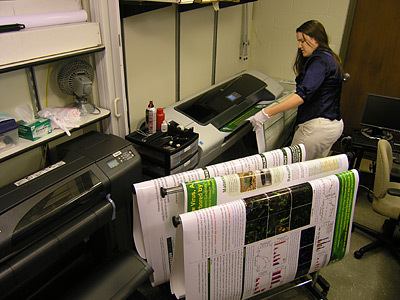 The Pacific Biosciences Research Center Computer Network Support Facility Poster Printing Service is a revolving fund established with the Research Corporation of the University of Hawaii (RCUH).